I spoke briefly during NYFW that velvet was a fabric that was scattered throughout the collections. 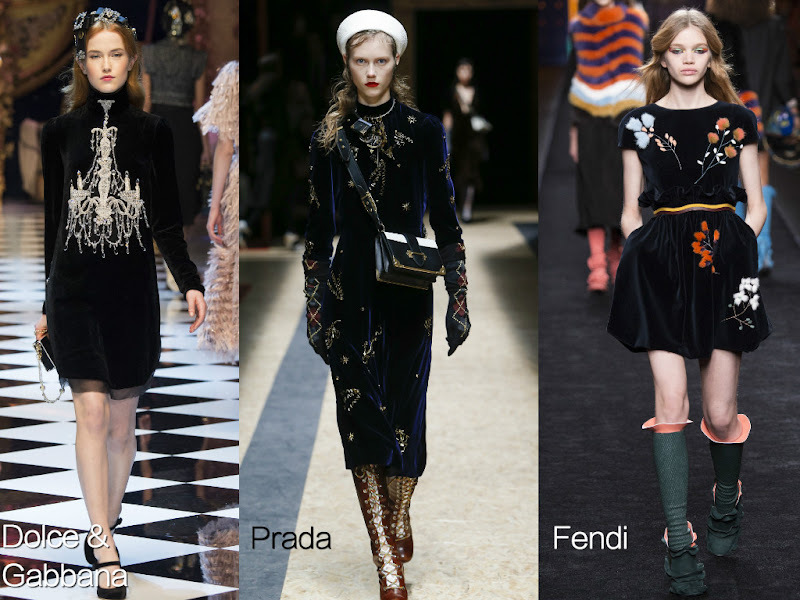 However, Milan Fashion week took it to another level of the common saying "velvet to the touch." Velvet as we already know is luxurious fabric, and seeing the Milan designers do it and they did it very well. The above looks from Dolce & Gabbana, Prada and Fendi definitely commanded enough to touch by vamping out a velvet dresses with decorative ornamentation. However fashion is not a competition, I did pull three comparing velvet looks from NYFW that were a little bit more plain but not boring. Check out the difference below.